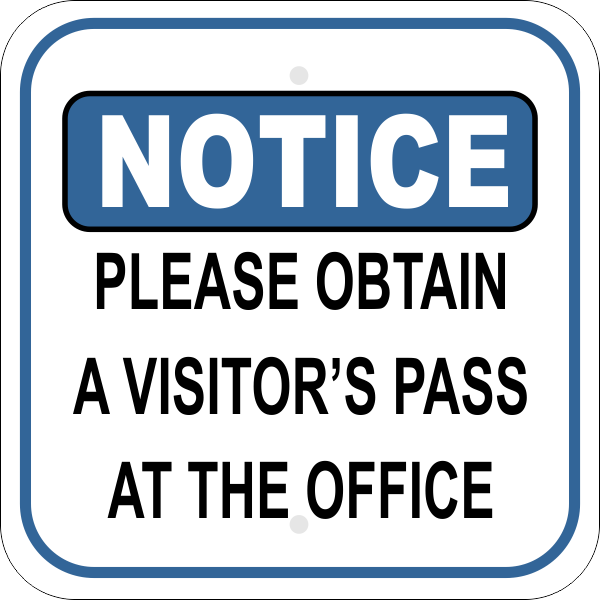 Color Sign Horizontal 3" x 10"
Schools and large office complexes will be thankful to post our PLEASE OBTAIN A VISITOR'S PASS AT THE OFFICE Notice sign throughout all buildings. Keep a safe environment with these signs and easily identify visitors who are on your premises. Our friendly customer service representatives are readily available to assist with any questions you may have! Order your Notice Signs today!